Gov. Jay Inslee from the state of Washington declared a state of emergency on Jan. 27, 2019 after 35 cases of measles have been confirmed. Clark County which is on the state’s southern border had 34 confirmed cases. Health officials said 30 of the cases people who were not immunized for measles; the four others have not been verified. Out of the 34 verified cases, 24 involved children between the ages of one and 10-years-old. Nine of the cases were from Clark County. The governor wrote in a news release there is also a confirmed case in King County, said to a male in his 50s, who recently was visited Clark County. A news release posted on Gov. Inslee’s website said the Washing State Department of Health (DOH) has put into effect an infectious disease emergency management structure so it can be in charge of all aspects of the outbreak through lab testing and investigations. The Washington Military released a press release saying it will assist the DOH in organizing resources to ease the effects on infrastructure, people, and property. County officials said last week, and it has been confirmed that a person infected with measles attended a Portland Trail Blazers game in Oregon. 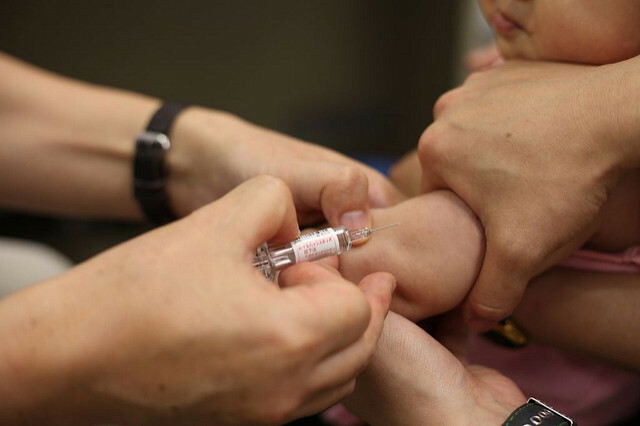 Others who have been infected with measles went to Portland International Airport, schools, hospitals, restaurants, and churches across Clark County and the two-state region. Measles is an extremely contagious virus that spreads through the air through sneezing and coughing. Symptoms include a rash covering the body, high fever, red eyes, and stuffy nose. With treatment, the symptoms disappear between two to three weeks. The Center For Disease Control reported in October there has been a rise in children not receiving vaccinations. Children who have not received injections by 2-years-old rose from .9 percent amidst children born in 2011 to 1.3 percent of those who have been born in 2015. The CDC recommends people obtain the measles, rubella, and mumps vaccine. The recommendation is children should have two doses of the MMR vaccine, the first between 12 to 15 months and the second between 4 and six years old.